Any Screen Productions has strategic knowledge and deep experience in the evolution of digital content services and cutting edge mobile technologies. We provide international consultancy in licensing, Apps publishing, planning design and execution of awards and contests, professional start-up mentoring and overall business and market development. Any Screen is also now very excited to be focussing on Tech Powered Social Innovation through our recently created m-Spark.org, which is our new social entrepreneurship accelerator. Any Screen's founders Ferhan Cook and Jim Cook have started a new venture, m-Spark. m-Spark is an accelerator and amplifier of innovative social projects using digital technologies. We believe these projects will help to change the world by improving the lives of people in remote areas. m-Spark provides mentorship, help in business planning, marketing, and funding for projects in the areas of Health, Education, Micro-finance, Women, Agriculture and Disability. Balance4Good, a wearable tech company co-founded by m-Spark, recently won the InnovateUK Wearable Technology funding competition. Balance4Good uses wearable tech to improve balance and prevent falls in an aging population. Mobile Horizons Istanbul 2013 was an exclusive thought leadership forum that provided deep insights into future applications of mobile, wearable technologies and Internet of Things. A unique format with expert speakers and an exclusive Istanbul venue guaranteed inspiration and top level interactions with leaders and experts from Turkcell, Blippar, Nokia, Neurowear, Spotify, MEF, and Orange. It was an invitation-only event, created and produced in partnership with Qualcomm, a world leader in smart phone technologies. TEDxSILKROAD was a one day inspirational conference that took place in the city of Istanbul - a unique bridge between the East and the West. It was a journey into the future of innovation, borderless creativity, commerce and the role of mobile and internet technologies in empowering communities. 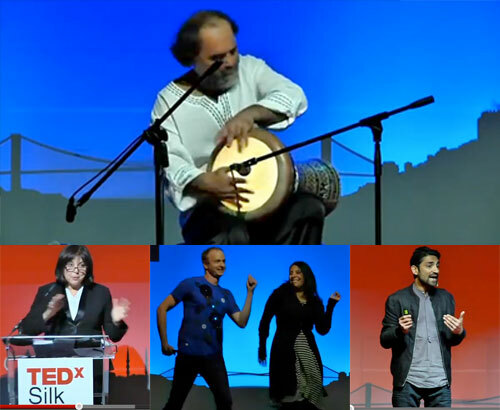 TEDxSilkRoad was a major success, with 220 attendees and 1,700 internet watchers from 20 countries! Visit the TEDxSilkRoad website for more information or go here to hear the talks. Launched in 2007, Mobiadnews is the first and the most established industry resource on Mobile Marketing and Advertising. Ferhan and Jim Cook were the founding members of Turkey's first and premiere Angel Investing group Galata Business Angels. Ferhan remains an active member, she specializes in mentoring start-ups and identifing promising entrepreneurs for angel investment. 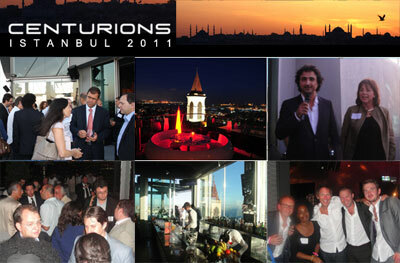 Centurions Istanbul is an exclusive digital networking event. It brings together international leaders from the mobile, internet, and digital entertainment sectors, along with brands, VCs, and creative entrepreneurs to create new business opportunities. Taking place each time in one of the hottest venues in the amazing city of Istanbul, each event is attended by a minimum of 150 people you would like to meet. Centurions Istanbul was conceived and organized by Any Screen's MobiAD News in partnership with Turkish mobile marketing agency Mobilera, and Centurions London. Vist the Centurions Istanbul Facebook page. Bloomberg Yeni Ekonomi (Bloomberg New Economy) is a leading new technology TV series in Turkey. They regularly explore the key trends and events in technology, finance, and business. 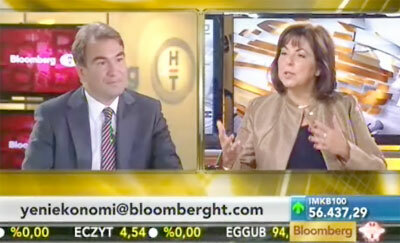 In September, Ferhan Cook was interviewed on Bloomberg, on the topic of How Mobile is changing the economy. Ferhan talked about mobile banking, mobile health, and of course the explosive growth of mobile commerce. Ferhan Cook has joined Ogilvy's Innovation lab as Lab Partner/ Consulting Cool Hunter for Digital Technologies. We are exploring the most cutting edge projects in digital media including Augmented Reality, Location Based Story Telling, Robotics, Sensors, Machine to Machine Interactions, Connected City, Connected Body, and more. Any Screen conceived, designed and curated the first Connected Experience Hub at MIPTV in Cannes, France. The Hub featured Connected Entertainment technologies, including augmented reality TV, natural gesture interfaces, digital grafitti, brain machine interfaces from Metaio, Primesense, Emotiv and Reactable, Wii Spray, as well as big partners such as Orange and Intel. The Experience Hub also featured a seminar programme produced by Any Screen Productions. See the seminar program here. Any Screen's Ferhan Cook designed and executive produced this year's Content 360 Digital Creativity Festival at MIPTV. It featured top leaders from the digital industry, and was one of the most attended programmes at MIPTV. Learn more about the Content 360 Creativity Festival. Watch Content 360 Supersession featuring Ferhan Cook with Gary Carter, Bruno Patino, Kevin Slavin, and Tom Perlmutter, leading pioneers of Digital Creativity! PICNIC 09 Festival brought together creative minds, technology and media leaders to share visions and ideas for the digital future. Ferhan Cook designed the Festival Programme and curated all the speakers. PICNIC 09 Amsterdam sold out as an event! PICNIC Festival was kicked off with a classy programme and evening intro event at a hip venue in New York. 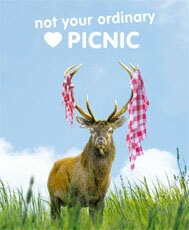 Learn more about the PICNIC Salon New York. Ferhan Cook chaired and hosted the first "iPad Rich Media Apps Showcase" and "New Publishing Revolution" seminars at MIPCOM 2010. See the full sessions by following the links below. Please click on the navigation tabs above to see listings of other projects such as Nike, Vodafone, Astra, Nokia, and the Mobile TV Awards. Any Screen's founders are active in the mobile and start-up industries. Ferhan Cook is now an Alumni of the Singularlty University Executive Programme that was held in March 2015. Innovation in Articificial Intelligence, Robots, Big Data, and 3-D printing will make huge impact towards solving Worlds challenges. Any Screen's Jim Cook and Ferhan Cook were on the 2015 Grand Jury of the GSMA Global Mobile Awards, in the categories of m-Health and m-Education. Recently, Ferhan Cook gave a talk about her life, her Apple career, and some lessons learned about being a global citizen at the Global/Migrant Woman Conference in London. [Social Innovation Ideas Contest] m-Spark co-founder Ferhan Cook will participate as a judge and mentor for this program which works to support social entrepreneurs and technology powered social innovation in Turkey. Ferhan Cook was a Strategic Partner to this global program of Ashoka. She volunteered together with McKinsey and Mojolabs, an Indian entrepreneur, on how to scale a low cost personal communications network to help under-resourced communities around the world inform each other. WSYA is a unique global contest which brings together young developers and digital entrepreneurs who use internet and mobile technology to put the UN Millennium Development Goals (MDGs) into action. Ferhan Cook is an advisor and jury member for this project. Any Screen's MobiADNews was a media partner and participated in this one-day event that was designed to introduce, explain and predict the coming trends facing the medical and personal healthcare industries. Jim Cook will once again be on the judging panel for the Meffy awards. The Meffys honor the most influential players from around the world in mobile content and commerce categories. This conference was focused on the question "Mobile Financial Services: Evolution or Revolution?" Jim Cook presented the session on The Right Way to Integrate Mobile into your Retail Strategy. Any Screen will be attending the following events this year. Contact us and we'll meet you there! With insights from over 45 speakers, it aims to bring the WIRED world to life. Join TED to celebrate the outpouring of innovation, dynamism and creativity taking place all over South America and the global South. 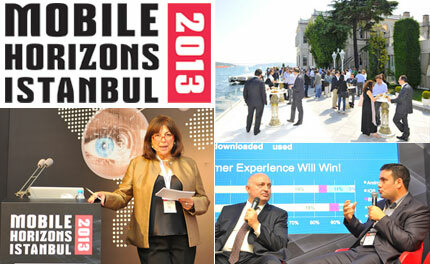 The world's premier mobile industry event! Send us an email or give a call to set up an appointment.